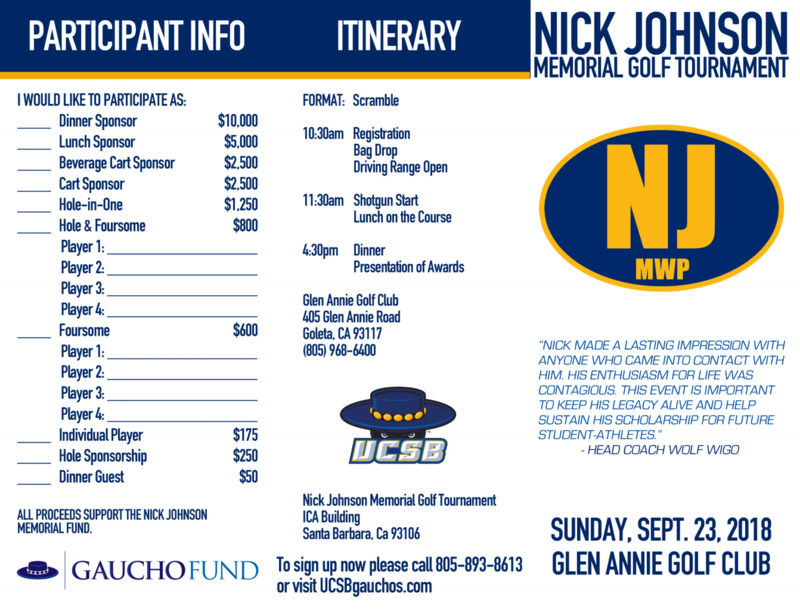 SANTA BARBARA, Calif. – The UCSB Intercollegiate Athletics Department and men's water polo program announced on Tuesday afternoon that the Fifth Annual Nick Johnson Memorial Golf Tournament will be held on Sunday, Sept. 23 at the Glen Annie Golf Club in Goleta. "Nick made a lasting impression with anyone who came into contact with him," said Gaucho head coach Wolf Wigo. "His enthusiasm for life was contagious. This event is important to keep his legacy alive and help sustain his scholarship for future student-athletes." The tournament, which honors the memory of former UCSB water polo player Nick Johnson, is a scramble format. Registration, bag drop and driving range opportunities begin at 10:30 a.m. There will be a shotgun start at 11:30 a.m. and lunch will be served on the course. Following the end of play, there will be a dinner and awards presentation to be held at 4:30 p.m. 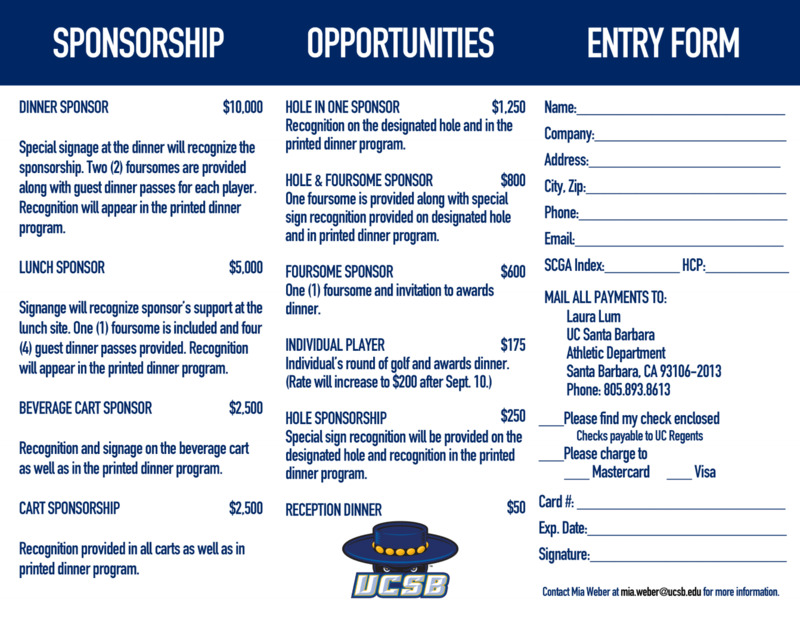 There are numerous sponsorship opportunities available, including: carts, foursomes, holes and individuals. For more information on sponsorships or to sign-up for the tournament, click here. If you have any questions, please contact Mia Weber at 805-893-4785 or email Mia.Weber@athletics.ucsb.edu. Funds raised by the tournament will go towards the Nick Johnson Memorial Fund.